The swine flu vaccine is being ushered out five months after H1N1 was declared a pandemic by the World Health Organization. Health care workers and emergency responders will be among the first to receive the vaccine. The government is expected to give out 25 million doses by the end of 2009. Since the swine flu vaccine was rushed out in record time, people have concerns over the safety of the product. Health officials have stated, though, that testing was thorough and corners were not cut to get the vaccine out in time. Concerns over rare side effects, such as Guillian-Barre syndrome, that occurred from the 1976 swine flu vaccine, are legitimate because it is impossible to know in advance what rare side effects may occur from a vaccine. However, officials have stressed that the 1976 vaccine was a less purified version and Guillian-Barre paralysis affected 2 out of every 100,000 people. 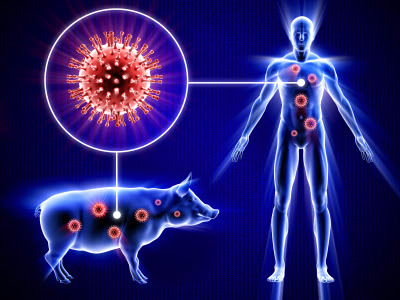 The swine flu vaccine will be monitored closely for side effects. The military, who are required to take the vaccine, will be closely watched for any side effects. In addition, electronic medical records of hospitals and health insurance companies are being monitored in “real time” for any evidence of side effects. Government health officials are strongly advising all pregnant women to get the swine flu vaccine. According to the Centers for Disease Control and Prevention, 100 pregnant women have been hospitalized and 28 have died from the end of April to the end of August. The rate of hospitalization and death for pregnant women is six times that of the general population. A pregnant woman’s immune system undergoes changes when she is pregnant causing her to be more susceptible to viruses. Health officials have seen no indication of side effects from the H1N1 vaccine in pregnant women and their unborn babies. Health officials are recommending that children and young adults up to 24 years old be among the first to get vaccinated, especially if they have underlying health problems such as asthma. Several states, including Arkansas and Pennsylvania, have ear-marked their first shipment of swine flu vaccines for in-school vaccinations. Children under age 10 will require two doses of vaccine, three weeks apart. Swine flu has affected mostly younger children, perhaps because their immune systems have not been exposed to as many viruses as adults. Unlike the regular flu vaccine, seniors are not recommended to get the initial dose of swine flu vaccine. The swine flu has rarely affected those age 65 or older. The Centers for Disease Control urges seniors to get the seasonal flu vaccine first and see a health professional if they come down with flu-like symptoms. FluMist, the nasal spray vaccine, is being offered initially because it was made available sooner than shots. Because the FluMist is made of live but weakened flu virus, it should only be used for healthy people aged 2 to 40. People with egg allergies should also use the FluMist. Pregnant women and people with underlying health conditions should not use the FluMist.